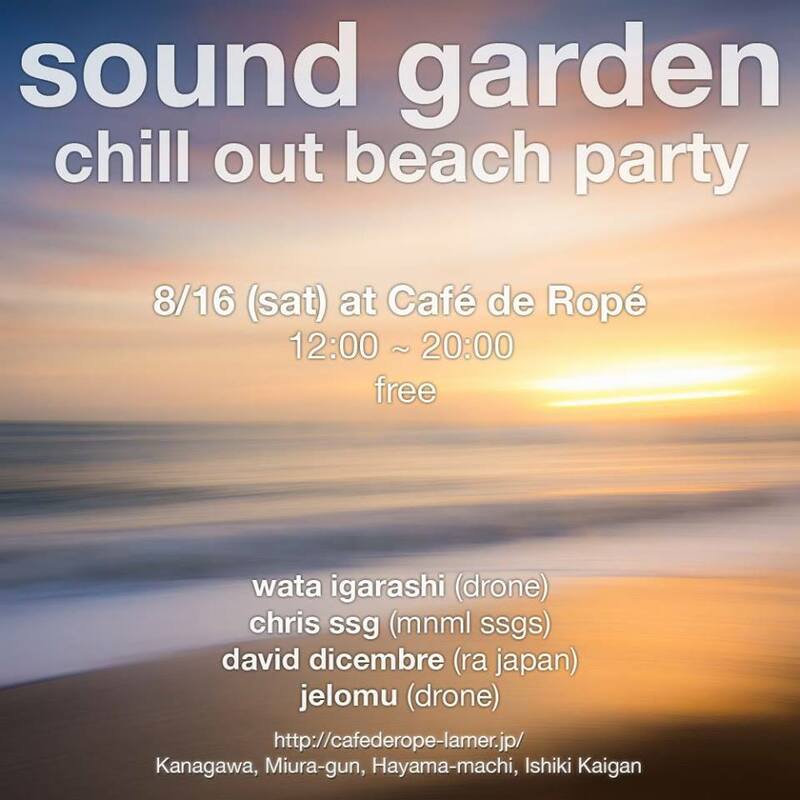 This Saturday we are returning to Cafe de Rope in Hayama for what will be our 3rd beach party there. This is definitely one of the best beaches near Tokyo, it’s not an accident that the Emperor has his beach house just down the road. Maybe if we are lucky he’ll stop by and join us for some chilled beats… So you’ve got a beautiful beach, a lovely and relaxed beach house cafe with friendly staff, and us providing ambient and chill out all afternoon. Sounds like a good deal, right? Well, we’ve also got our good friend Wata as the guest DJ, providing another reason to attend. So come down and join us for a fun day at the beach.